Students work together in William Meissner's English workshop. Visiting authors speak to the students. 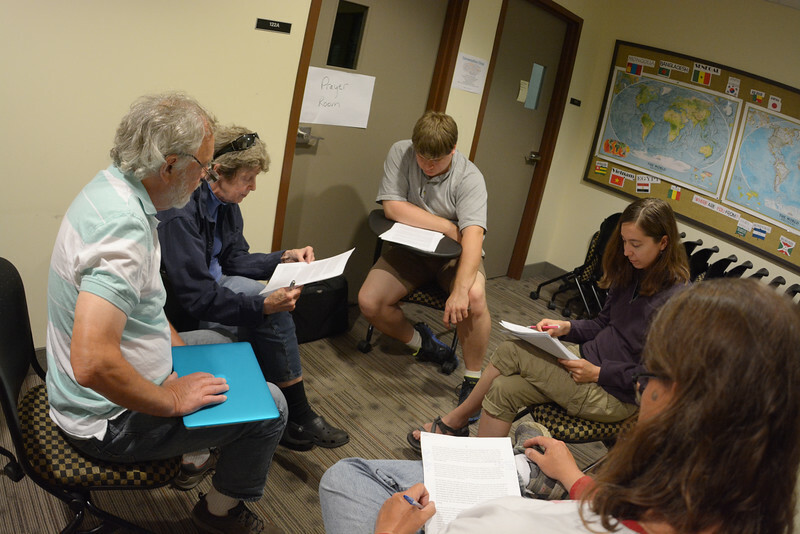 Mathion Haye-Traphagan, Leane Flynn, Jeff Gregg, Toy Ward and Tom Prill discuss their creative writing assignments.